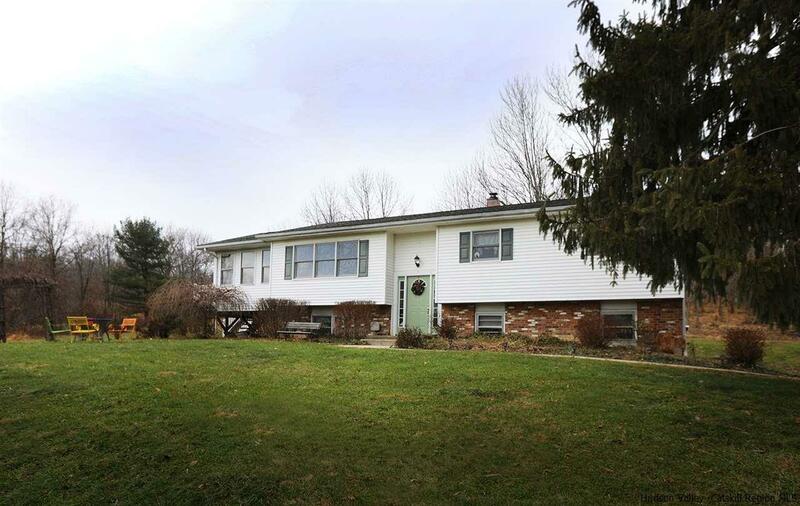 Well cared for home in elevated setting, set back from road in a highly desirable "west of the Wallkill" New Paltz location. Pride of ownership evident here with many updates over the years, including newer windows, roof, siding and gutters, along with a new heating system in 2015. Nothing really to do here but move in and personalize. In demand features like hardwood floors, large 3 season room, finished basement, and large yard for fun family gatherings and children to roam. Always clean and recently touched up with fresh paint in many areas. Lots of custom touches that reflect the heart of the home. The convenience of this location is virtually unmatched. Homes in this location do not hit the market often. Minutes to New Paltz and Gardiner villages, climbing in the Gunks, and minutes to the new River to Ridge Trail off Butterville Road. Affordably priced and ready for the new year. Come enjoy all the local area has to offer.